If I could give Susanna 10 stars, I would. Not only is she very knowledgeable, she is absolutely engaging. She is also an excellent guide in that she allows you to go at your own pace and spend as much or as little time as your interests dictate on the various sights. Our tour with Susanna was a highlight of our trip. 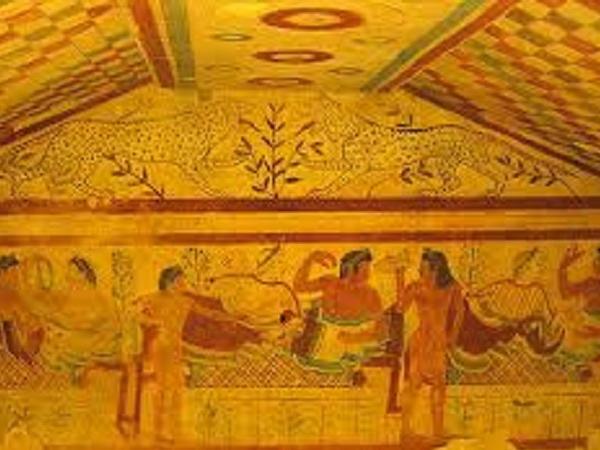 With respect to the content of the tour, the Etruscan tomb paintings are amazing and well worth seeing, and the museum containing the artifacts taken from the tombs is excellent. TOUR GUIDE RESPONSE: Thank you June Ann for your comment! I'm really happy we met and hope to see you again soon. There are still lots of things I would like to show you:) Many greetings from Italy! Susanna took us on her wonderful tour of Tuscany to visit Tarquinia visiting the spectacular Painted Tombs and associated Museum with the beautiful sarcofigi and artifacts from the tombs. Following a delicious lunch we visited the amazing sculpture park called The Tarot Garden - the creation of the American French sculptor Niki de Saint Phalle. The sculptures glisten and glow with highly coloured or mirror mosaics. I highly recommend this tour with Susanna. Judith M.
TOUR GUIDE RESPONSE: It was really my pleasure to be with you! Thanks and see you next time! Great guide, great day. In addition to a lovely and fascinating personality, Susanna knows her history and geography and kept taking us to places of rare beauty and interest. TOUR GUIDE RESPONSE: I enjoyed the day with you very much, too! Next time I will show you the Renaissance part of this area. We had a wonderful day with Susanna visiting Etruscan archaelogical sights, seeing the marvellous artwork at the town hall in Virtebo. We had an picnic lunch with beautiful vistas and great food and vino. What a marvellous day trip off our cruise ship at Civitavecchia. 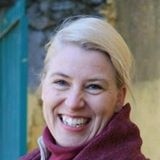 Susanna is sophisticated, warm, friendly and expert in the arts and culture of this beautiful country. Ask her about opera!! TOUR GUIDE RESPONSE: Thank you a lot. It was a fun day for me too! Yes, of course, I could come with you to Orvieto, it is a really great town with its fantastic cathedral! I know also nice places to eat and wine tasting if needed. Lots of love to your family! We first visited the Etruscan tombs and archaelogical museum in Tarquinia. There were few visitors to the tombs that made for easy and pleasant viewing of the incredible frescoes. Susanna stopped at a small olive oil processing plant on the way to Viterbo. While we enjoyed a delicious lunch, Susanna narrated the papal history of Viterbo whose ancient buildings we saw. The trip back to the ship through the sparsely populated countryside was enjoyable. Susanna is a very friendly knowledgable guide.